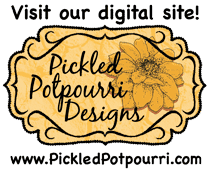 Do you have Liquid Applique sitting forgotten in a drawer or cabinet? 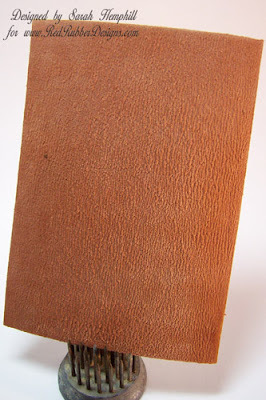 Did you know that you can use it to make great looking leather-like backgrounds? 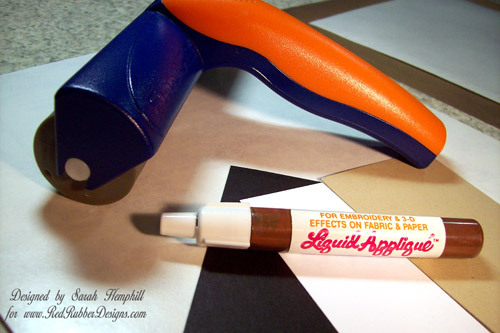 Squeeze out some liquid applique on your waxed paper. Roll over the liquid applique with the brayer so that it covers all the way around the brayer. Roll the brayer over your cardstock in all directions until covered to your liking. Now clean your brayer immediately. 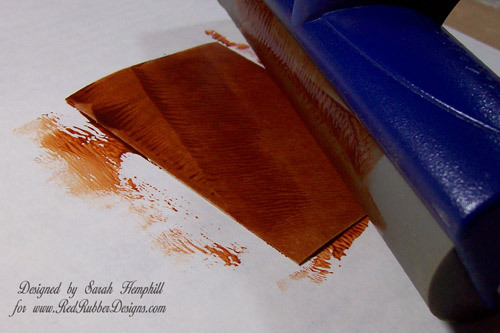 You do not want the liquid to dry on your brayer. Enjoy the beautiful leather-like surface that you have just created. 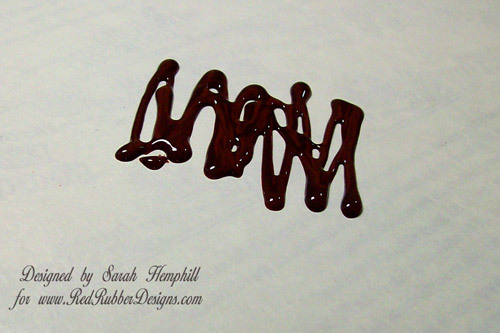 Your background is now ready for stamping with Archival Ink or a dye based ink. Here is my finished card with the applique applied to brown cardstock. Supplies from Red Rubber Designs used in this tutorial and sample. You can download this and many other tutorials for free here in the Red Rubber Designs store. Ooh, wow! Another amazing product I'd never come across - and what a great card! That is a cool technique! Thanks for sharing! This looks amazing! I had also never heard of liquid Applicue. The stamping and layering is gorgeous too. Great card!! This technique looks especially cool the way you embossed it. I can see you getting a lot of use out of this look. This is one of my favorite textural techniques - it's fun to also blend various colors (yellow adds a wonderful richness to the brown) to create the faux suede color. 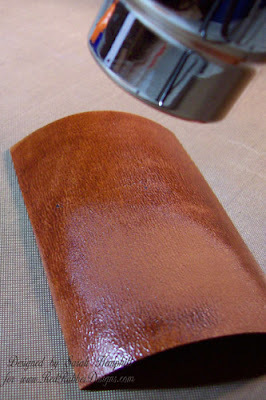 Adding a drop or two of black and then not fully blending the color into the brown adds a fabulous authentic streakiness to the leather. And don't forget the other colors of liquid applique - create fluffy white clouds by puddling some white (with a drop of blue), picking up the mixture with a sponge dauber and applying to your cardstock around a cloud stencil (do the same thing with green liquid applique and you can create velvety green hills). 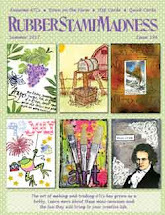 Use a sponge dauber to apply the liquid applique direct to rubber, stamp the image or sentiment onto your cardstock, and then immediately scrub out the liquid applique from the rubber (I keep a toothbrush in my tool caddy for that cleaning exercise). 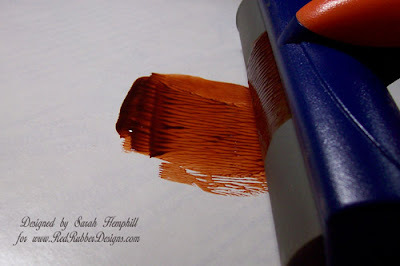 I use the small sponge daubers to apply liquid applique and they are easily washed out as well. Sarah, this is a great tutorial. It is one of my favorite techniques also. 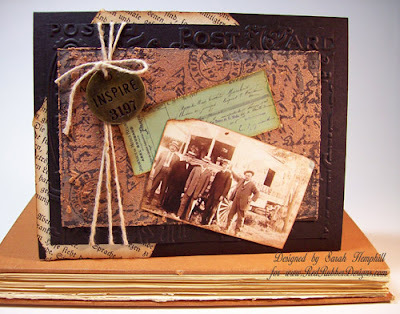 I like to use the faux leather for backgrounds for western (and Texas) images with cards. KellyRae, you have some great additonal tips too. How funny... I totally didn't recognise it from the sneak peek - but this is the tutorial that sent me off on another voyage of exploration through Craftyblogland to check out some more about Liquid Applique! !